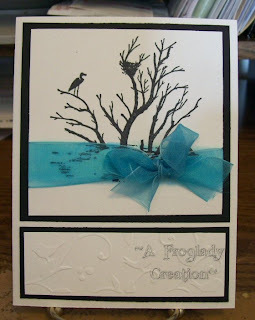 This card is clean and crisp stamping on white matted with black and then a bright blue ribbon added to it. Stamp is from Third Coast Rubber Stamps. Ink used was Memento. I ran the lower half through the Cuttlebug and that was it. I really love this card! I hope the recipient does also. I love balck and white cards with a splash of color! This rocks. Karyn, I love your card, it's stunning in it's simplicity..it seems I have tagged you as well - lol can't win em all .. I really like this card!!! Hi Karyn, Love your card, it is very striking! I like this card make it nice for winter coming. 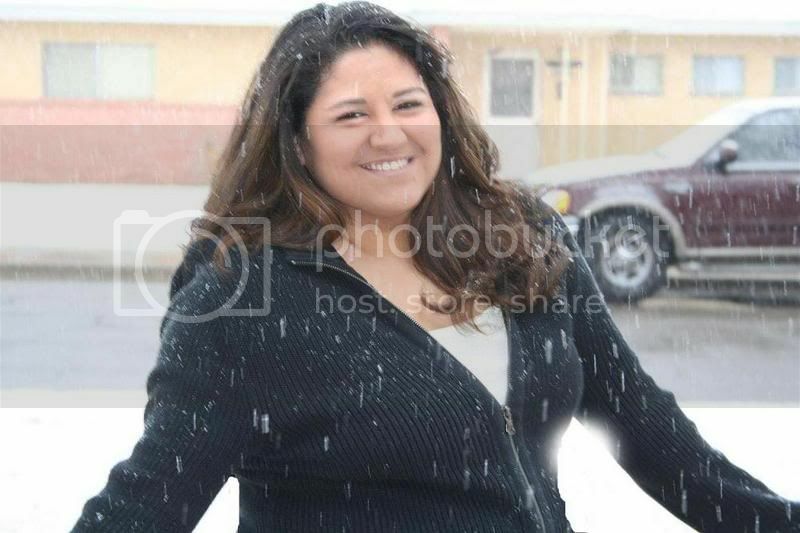 i love the snow and i live in ohio also. This is pretty! Great lay out! I agree very striking! TFS! I love this clean looking card with a burst of blue! Just perfect!